Tough Mudders, Mud runs, Warrior Dash, and Spartan Races are super-fun and challenging non-tradition obstacle course race in which the terrain is mud. Examples of obstacles on these courses are climbing structures, crawling under wires, and swinging on bars. Having ran seven of these races, I speak from experience when I say that obstacle course races put the knees at risk of injury including gashes and bruises. Many Tough Mudders use knee pads in order to protect from injury. While the are many knee pads to choose from, I tested five that I like and tested out during my last few OCR. Below are the 5 best knee pads for tough mudders or any obstacle course race. The 5 Best Knee Pads for Tough Mudders, Spartan race or any ocr. The Lepfun S9000 Knee Pads help protect the knees during tough mudders. They are made with a thicker sponge pad in order to help with stability and support. The fit is snug, but it still allows for movement comfortably. The tight fit and support both help protect the knees. These knee pads are suitable for the Arctic Enema because they are made with high-elastic silk, which is light and breathable. What I Do Not Like: They are a little bulky. As a speed runner I like to go through Tough Mudders and OCRs fast so I felt these slowed me down a little. They absolutely work but if you are looking to speed through a Tough Mudder like me, these might not be for you. 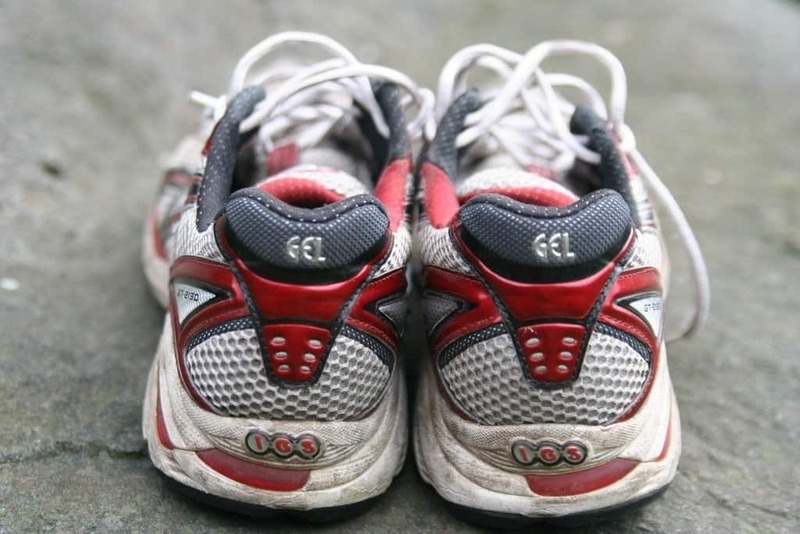 If you plan on going through at a normal pace, these would be a great option. The McDavid Hex Technology were my favorite because of there design. These knee pads offer a closed cell foam padding which protects the knee when you are crawling under the Birth Canal. The hex shaped padding provided unbelievable protection against collision and scrapes. The other key element that I like is that my knees stayed fairly dry (all things considered) their Moisture Management Technology kept my skin fairly dry. These knee pads did a great job and stood up to the beating they took throughout the entire OCR. The Sumifun knee pads are really designed for sport use and not Tough Mudders however, if you need a little extra protection for your knees these might be the best best for you. The price is relatively inexpensive and they hold up throughout the race. As long as you don't plan on re-using these, the Sumifun Knee pads would be a good fit for you. The thicker sponge pads are made with high-density strengthen foam, and the material gives full-cushion for collisions. Temperature is kept regulated during hot or cold weather because it is made with high-elastic silk. The Lepfun W8000 Warm Knee Pads provides stability and decreases pressure while intensively exercising the legs. These are made with micro-fiber fabric, which is a nylon blend and highly-elastic and kept my knees fairly dry throughout the race. The compression helped reduced stiffness in muscles and knees dafter I crawled through the Quagmire and over the Skidmark, and kept my knee area at a comfortable temperature. By using compression, these are designed to stay put and they did just that for me. 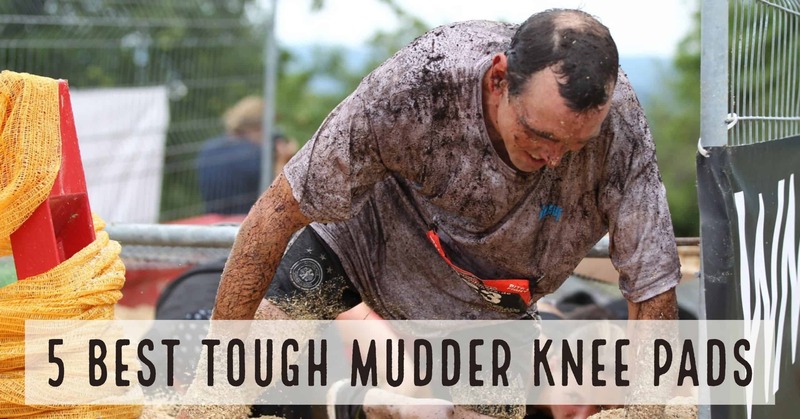 Tough Mudders, Spartan Races, Mud Runs and Warrior Dashs can make your knees swollen during a race. 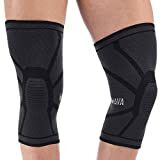 The Mava Sports Knee pads provide a comfortable fit while protecting your knees AND if you knees become swollen they expand while not cutting off circulation. 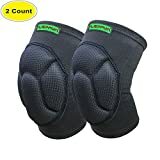 My right knee became swollen during my latest Tough Mudder and these knee pads kept it protected and supported. My knee didn't swell to an enormous size but it was visible larger than the other and these knee pads were a perfect fit. These compression knee pads also help with recovery after the race. Added bonus - they come in tough mudder colors! There you have it! The 5 best tough mudder knee pads. These knee pads provide the protection that you knee, support throughout the race, the ability to keep you dry and they stay put. Coupled with a great pair of tough mudder shorts, gloves and socks you will be all set for your next OCR! What Are the Benefits of Running Compression Socks?